There are a lot of macaron recipes that call for aged egg whites ( including the one i will be posting soon) and you may be like I was and ask what the heck an aged egg is. The reasoning behind it is to dehydrate the egg whites as much as possible. This causes the egg whites to lose elasticity and helps you gets a stiffer meringue and the right consistency of batter for the perfect macarons. Just remember, that if you have had the egg whites in the fridge, you need to take them out and let them come to room temperature before using them. Thanks for the great tip! Is it possible to use egg whites that have been aged for 5 days? I put in some egg whites to age last week but haven’t had time to make macarons yet. Last time I made them they were hollow, so I’m trying my hardest to correct follow even step of my recipe perfectly. Hello Emilie. It is possible to use them as long as you’ve had them in the fridge. So, after leaving them out for 24-48hours you should have them in an airtight container in the fridge. The hollow shells may be due to there being too much air remaining in your mixture after mixing or that the shells were not fully baked before you removed them from the oven. I’ll be starting a new series of posts every Wednesday with macarons making tips so hopefully those will help as well. When putting the eggs into the microwave for 10sec, do you mean an whole egg or just the egg white in a bowl? Hi Cindy. It would be just the egg white in the bowl and not the entire egg. Your quote: “….The reasoning behind it is to dehydrate the egg whites as much as possible. This adds elasticity to the egg whites and helps you gets a stiffer meringue ……” Why does Pierre Herme explain in his book MACARONS : ” It is best to prepare the egg whites several days in advance, preferably a week, so that they lose their elasticity.” . Confusing? Thanks you for pointing that out Michael. It was a typo on our side that we have corrected. Do I leave the eggs out on the counter for 24-48 hours then refrigerate or do I separate and immediately refrigerate for that amount of time? I’ve been on so many sites and none so far specify whether you leave them out to age or refrigerate to age. They just say aged eggs which doesn’t help much. Hi Veronica. You would separate the eggs and then leave the egg whites out for 24 – 48 hours, ensuring that it is lightly covered ( so no tight lids) to prevent anything from falling in. 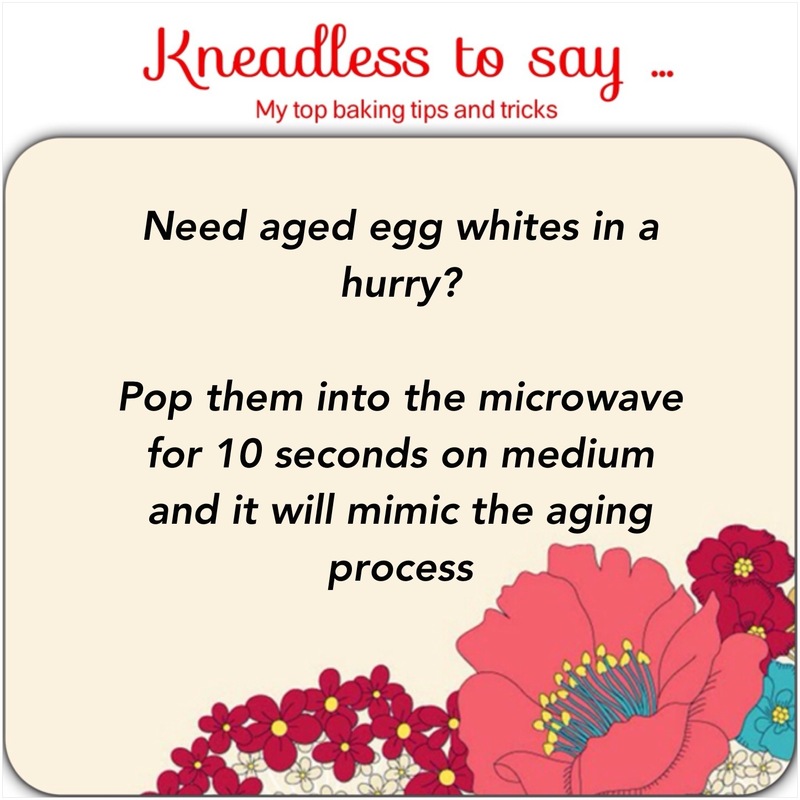 After this you can store the aged egg whites in an airtight container in the fridge if you are not using them immediately. Hope that clarifies for you. My macarons came out very smooth on top with nice feet but the inside was hollow. What did I do wrong? I piped and left the tray out for 25 minutes, baked at 300F for 8 minutes. Please advise. There are a few things that could have gone wrong. 1. The batter may have been over-mixed. 2. There may have been too much air still in the batter when it was piped. 3. You may have taken the macaron out of the oven too soon causing the expanding batter on the inside to collapse as it had not baked fully and set as yet.